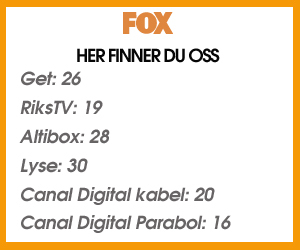 Blokkere cookies - Velkommen til FOX-bloggen! Essential Cookies. These cookies are essential to our Site in order to enable you to move around it and to use its features. Without these essential cookies, we may not be able to provide certain services or features and our Site will not perform as smoothly for you as we would like. newsletter_confirmation_subscriber Temporal cookie. UX enhance. newsletter_confirmation_unsubscribe Temporal cookie. UX enhance. Performance Cookies. Performance cookies, which are sometimes called analytics cookies, collect information about your use of this Site and enable us to improve the way it works. For example, performance cookies show us which are the most frequently visited pages on the Site, allow us to see the overall patterns of usage on the Site, help us record any difficulties you have with the Site and show us whether our advertising is effective or not. Functionality Cookies. In some circumstances, we may use functionality cookies. Functionality cookies allow us to remember the choices you make on our Site and to provide enhanced and more personalized features, such as customising a certain webpage, remembering if we have asked you to participate in a promotion and for other services you request, like watching a video or commenting on a blog. All of these features help us to improve your visit to the Site. Targeting or Advertising Cookies. We and our service providers may use targeting or advertising cookies to deliver ads that we believe are more relevant to you and your interests. For example, we may use targeting or advertising cookies to limit the number of times you see the same ad on our Site and to help measure the effectiveness of our advertising campaigns. These cookies remember what you have looked at on the Site and we may share this information with other organizations, such as advertisers. For more information about targeting and advertising cookies and how you can opt out, you can visit http://www.youronlinechoices.com/uk/your-ad-choices or http://www.allaboutcookies.org/manage-cookies/index.html. Opting out of third party targeting or advertising cookies does not necessarily mean that you will not see our advertising on third party websites, only that this advertising will not be targeted to you through the use of third party cookies. Flash Cookies. We may, in certain situations, use Adobe Flash Player to deliver special content, such as video clips or animation. To improve your user experience, Local Shared Objects (commonly known as “Flash cookies”) are employed to provide functions such as remembering your settings and preferences. Flash cookies are stored on your device, but they are managed through an interface different from the one provided by your web browser. This means it is not possible to manage Flash cookies at the browser level, in the same way you would manage cookies. Instead, you can access your Flash management tools from Adobe’s website directly. The Adobe website provides comprehensive information on how to delete or disable Flash cookies see http://www.adobe.com/security/flashplayer for further information. Please be aware that if you disable or reject Flash cookies for this Site, you may not be able to access certain features, such as video content or services that require you to sign in. In some circumstances, we may work with third parties to provide services on our Site. Third-party advertisers and other organizations may use their own cookies to collect information about your activities on our Site and/or the advertisements you have clicked on. This information may be used by them to serve advertisements that they believe are most likely to be of interest to you based on content you have viewed. Third-party advertisers may also use this information to measure the effectiveness of their advertisements. We do not control these cookies and to disable or reject third-party cookies, please refer to the relevant third party’s website. You can also learn more about controlling cookies in section 4 below. 4. HOW DO I CONTROL COOKIES?